Daleys Fruit Tree has Plants for Sale to Winegrove and can Mail Order them to you door. Click to Find out how much Freight Will Cost. This naturalized lemon grows wild in subtropical Australia. 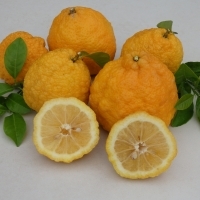 They are very hardy, have a thick skin with a true lemon flavour. Grows to about 4m in a sunny position. The skin makes a good zest for cooking. 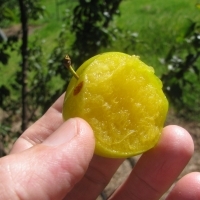 Green Gage is a European type plum with small-medium sized, roundish fruit with greenish-yellow skin. Flesh is amber-yellow coloured, firm, freestone. Good, sweet flavour. Tends to bear biannually. 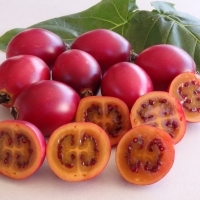 A favourite for cooking, canning and desserts. Ripens in late summer. Mid-season blooming. Forms relatively small tree. High chill.